These DVDs contain color scans of German operational maps captured by the US Army during World War II. All images are JPEG files. 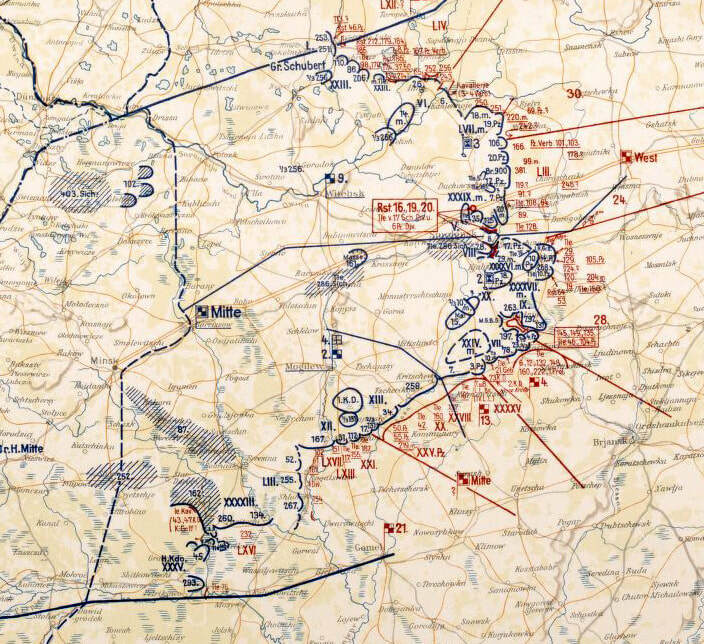 This is a complete collection of 417 WWII HQ Twelfth Army Group Situation Maps. 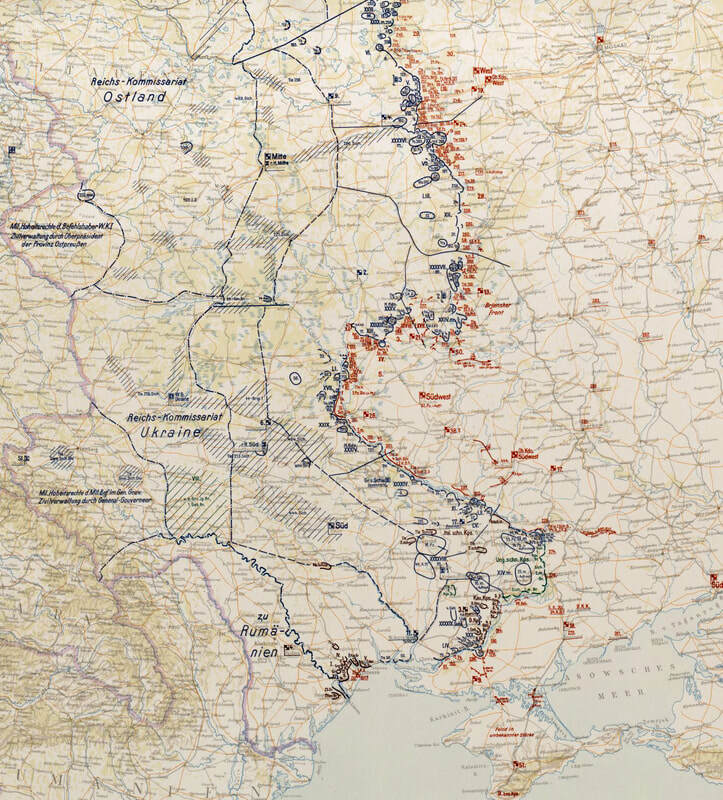 The maps detail the daily movement of Allied corps and divisions across western Europe from 6 June 1944 to 26 July 1945. Each map is 5-6 MB and the entire collection is 1.91 GB. Contact us to receive the maps via a file transfer site. Low resolution examples are posted below. 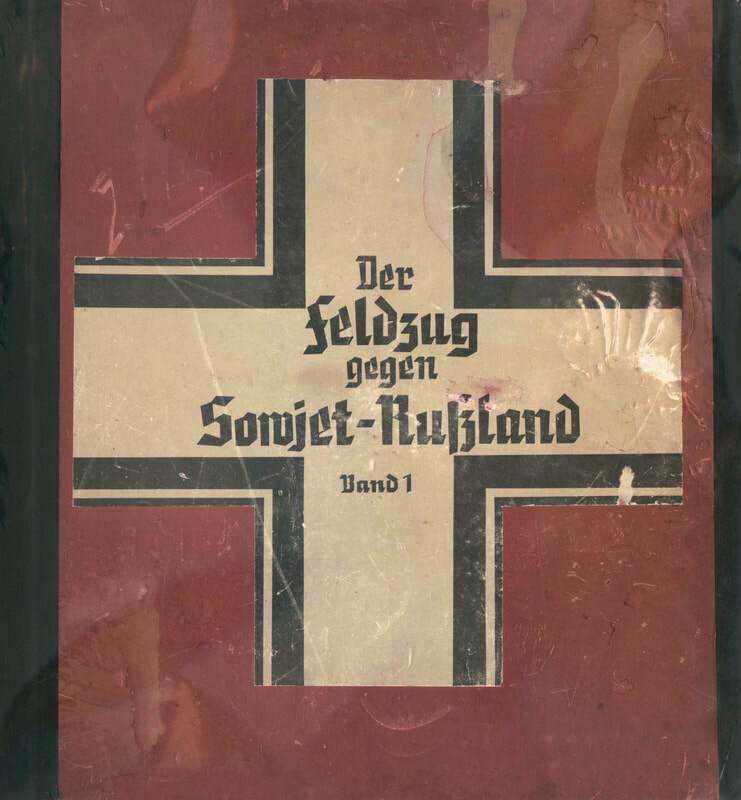 Digital copy of a map atlas published by the German Army General Staff in 1942 titled "Der Feldzug gegen Sowjet-Russland: Band I. Operationen Sommer-Herbst 1941 vom 21. Juni - 6. Dezember 1941." 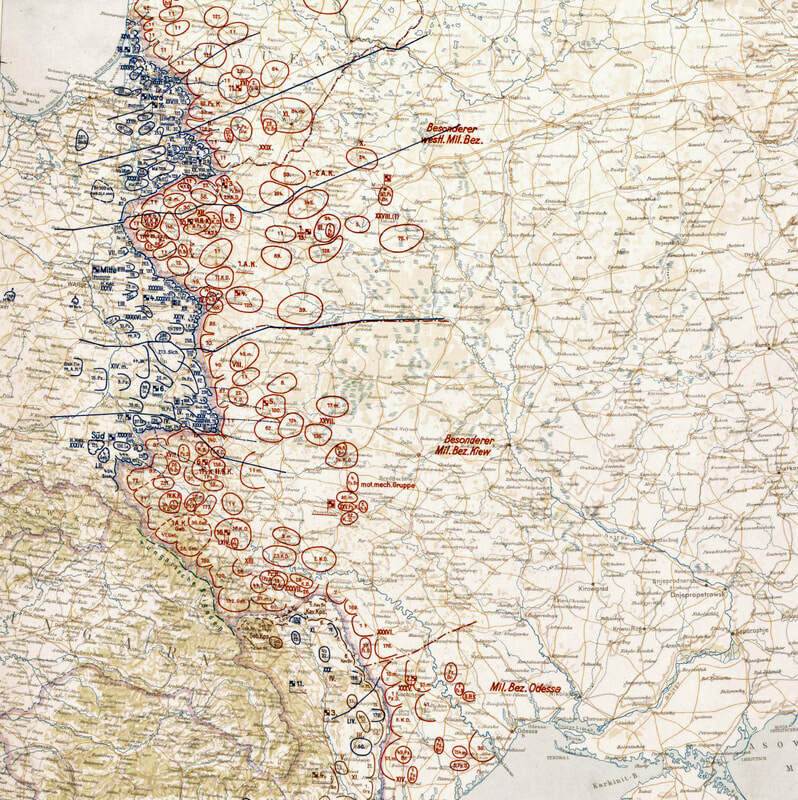 The atlas contains 121 color daily situation maps showing German and Soviet unit positions on the Eastern Front from 21 June to 6 December 1941. Each map is 1.3 MB and the entire collection is 1.65 MB. The files are JPEGs (examples posted below). To receive this map atlas, contact us and I will send it to you electronically via wetransfer.com. Low resolution examples are posted below.